A stream of newbuild VLCCs carrying ultra low sulfur diesel from the Far East into Northwest Europe is depressing US markets and helping to drive Gulf Coast prices and shipping rates to notable lows, market sources said Wednesday. The premium of EN590, the French Winter specification of diesel, over Platts Colonial Pipeline assessment hit a record low Wednesday. S&P Global Platts assessed the export market premium at 1.50 cents/gal over the pipeline assessment Wednesday, down 35 points/gal day on day and the weakest since Platts began publishing the premium on December 19 last year. The premium, which captures the higher quality specification, waterborne loading costs and market demand, averaged 2.25 cents/gal over March-May. Market sources described the USGC EN590 and shipping prices as collateral damage from the maiden voyage vessels — VLCCs, which can carry about 2 million barrels of crude oil, can carry refined products on their maiden voyage rather than crude. Seasonal demand in Europe has helped make the Far East-Europe arbitrage workable for these VLCCs, they said. That influx of ULSD into Europe has closed the arbitrage from the US Gulf Coast, resulting in a trickle-down effect in driving down USGC prices and shipping costs. “This kind of clean products movement on VLCCs is just a ‘one time’ issue, because the usual operation is that the new ships perform this first travel with clean products and after that start to carry crude oil,” a second Gulf Coast source said. To date in 2018, 24 newbuild VLCCs have been delivered from shipyards located mainly in China or South Korea, with at least five known to carry diesel on their maiden voyages to West of Suez markets. The Maran Aphrodite was the first, arriving in the Mediterranean mid-June. The DHT Stallion arrived in northwest Europe in mid-July, while the Xin Hui Yang arrived in Rotterdam on August 5 with a diesel cargo from China, Singapore and Fujairah. The newbuild 299,633 dwt Tonegawa left Imari in Japan on July 12 on its maiden voyage, before loading diesel via ship-to-ship transfer from three LR2s off Fujairah in the Gulf of Oman, according to European market sources and S&P Global Platts trade flow software cFlow. If the Tonegawa continues its planned voyage to Rotterdam, it will be the fourth VLCC of diesel to arrive in Europe since the start of June. A fifth VLCC, the New Eminence, was initially expected to move to Europe, but instead discharged half its 10 ppm diesel cargo offshore Lome in Togo via ship-to-ship transfer for sale in South America and to a lesser extent the regional market, before heading to the Mediterranean with around 40,000 mt of product reportedly still aboard. Since the Tonegawa has to sail around the Cape of Good Hope en route to Europe, it might follow the example of the New Eminence and stop offshore Lome to discharge via STS, or go to the Mediterranean where STS would also be necessary, a European trader said. It could also go to New York, Florida or continue to Rotterdam, the trader added. 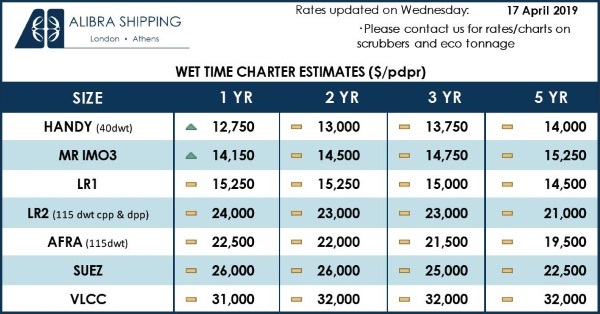 US market sources said that as many as seven VLCC ULSD maiden voyages have been planned, with one saying the 318,125 dwt DHT Bronco could be the sixth. It was built in July, according to shipping sources, and on Wednesday was off coast Taiwan en route from South Korea to Singapore. The Tenma is the latest VLCC built in July, according to shipping sources. However, Gulf Coast sources were divided over on whether a seventh such voyage has been fixed. The shipments have contributed to the downward pressure on Americas freight values for products tankers since May. During that time, gasoline and diesel shipments from Northeast Asia to Mexico have been more competitive than deliveries from the US Gulf Coast, although a truck driver strike in Brazil cut diesel import volumes by half. 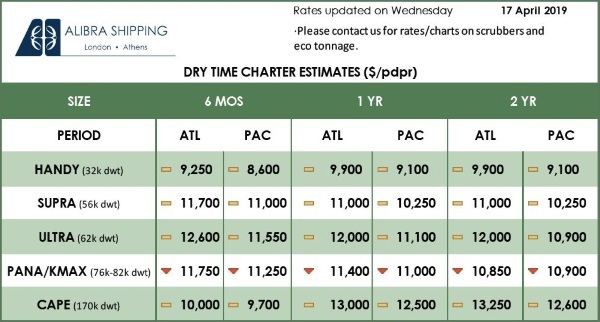 Freight rates for the backhaul US Gulf Coast-trans-Atlantic, which delivers ULSD and other middle distillates, fell 23.8% between May 3 and Wednesday, when rates were assessed at Worldscale 80 or $12.74/mt, according to Platts data. From the end of July to the first week of August, freight for that run was assessed as low as $11.15/mt, down 33.4% from $16.73/mt recorded May 3. The voyage from a South Korean shipyard to the UK Continent brings a vessel 20 days closer to West Africa, a natural crude loading area, and around 12-14 days away from West Africa, rather than the 32-34 days from South Korea. The ship charterer in turn saves on the sheer economy of scale of carrying 2 million barrels, rather than the 500,000-1 million barrels of gasoil moved on a products carrier.